RBR to Renault difference is 1.2 seconds! Max has the engine setting turned way up. Bound to happen. Well ,at least we are looking better then the Mercs. Yeah, you must be right, that makes sense. 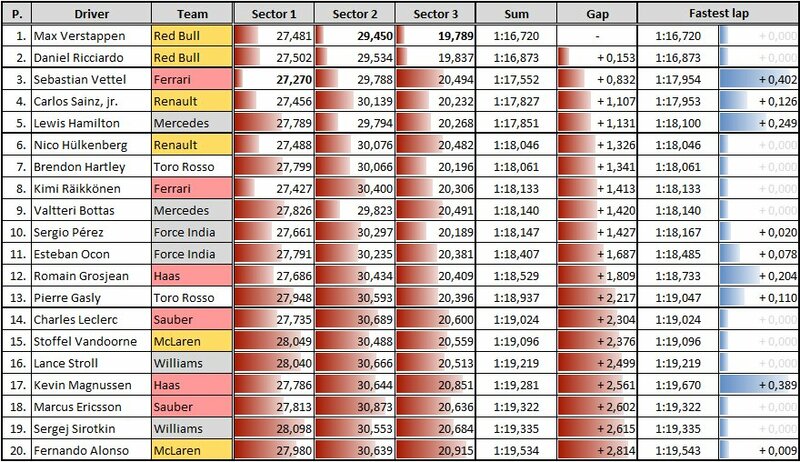 Looks pretty even between Ferrari and Merc on both one lap pace and long runs. I wonder how Mercs race pace would be if they plugged the holes in the rims again? Hopefully RBR can keep up their great pace tomorrow and on sunday as well. We need them in the mix even if it may hurt us in the end. But the more cars capable of good pace the better the chance of Merc not winning. It's going to be interesting tomorrow with the cooler weather and turned up engines. Max had a hydraulic issue which shut the car down autumatically. Weather update for tomorrow 10-27-18.....RAIN ALL DAY. [Autosport] Mercedes had to protect overheating engine in Mexico F1 practice. Red Bull confirmed new floor is a copy of the Ferrari version. New fins produced using rapid prototyping at Milton Keynes, then flown to Mexico & glued to the old floor. All within 7 days. [Autosport] Ferrari rejects its new floor design again after back-to-back tests with the old design in MexicoGP. Lol half year developed car battling for the championships. And yet RedBull seems to have made it work. 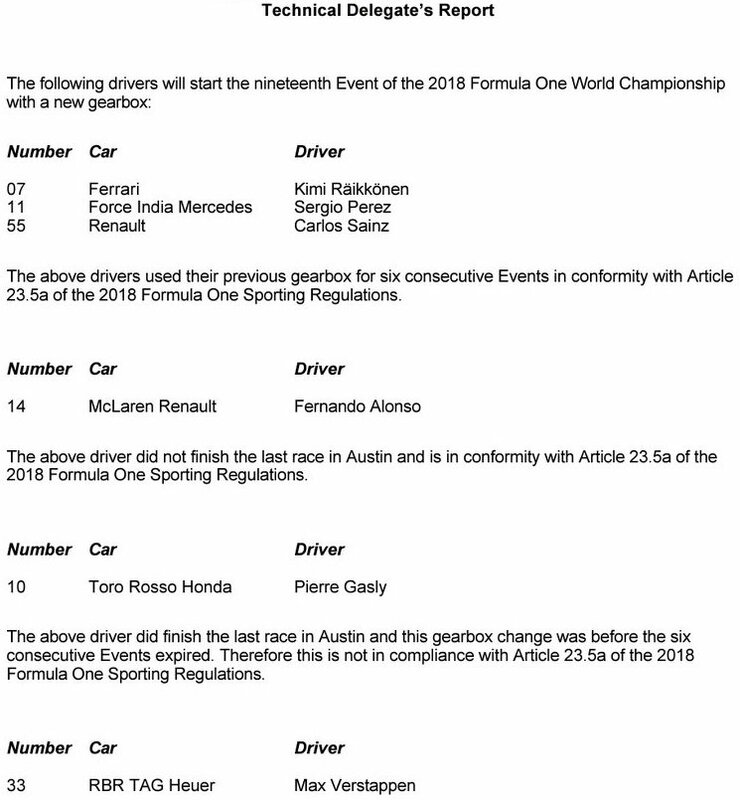 NEW GEARBOXES for Kimi Raikkonen, Sergio Perez, Carlos Sainz, Fernando Alonso, Pierre Gasly and Max Verstappen. Raining. Some teams burning the midnight oil. RBR are expected to be in the mixt for the win here. 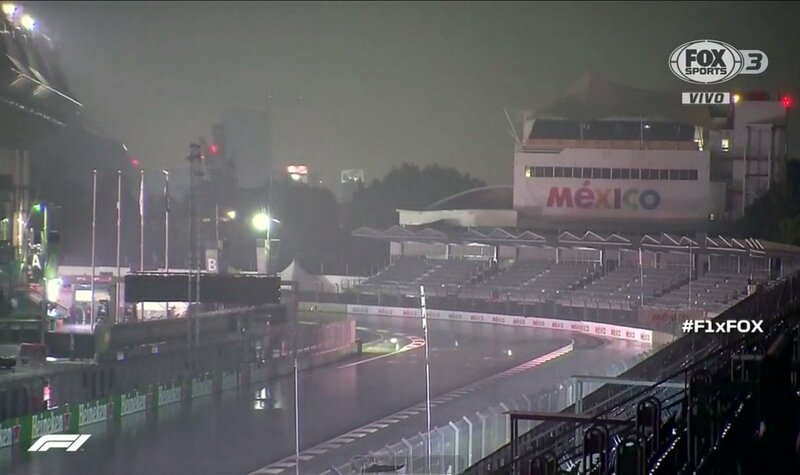 Mexico suits their car and they will be competitive, some might say even favorites if dry qualy and race. Lewis Hamilton has admitted that Red Bull seem to be out of reach after topping both practice sessions on Friday in Mexico. The Brit could only manage a P7 finish in the second practice session of the day, behind both Renaults and Brendon Hartley’s Toro Rosso. “The car was good in some places, but not so good in others,” Hamilton said after practice. “It’s not about one particular area; there are lots of different things that we can improve. “It was difficult with the high track temperatures, which were melting and graining the tyres, but a lot of people were experiencing that today. To clinch a fifth world title, Hamilton only needs to finish in the top seven in Sunday’s race at the Autodromo Hermanos Rodriguez. However, the Brit believes that Mercedes have work to do overnight, and in FP3, to get the car where they need it to be. “We’ve got some ground to catch up on, so we’re now going to go through everything in the debrief and look at all the details to find some answers,” he added. 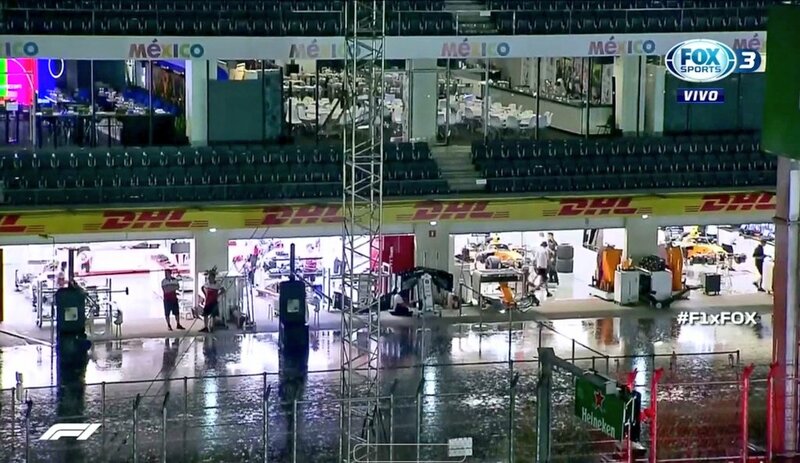 Mercedes team-mate Valtteri Bottas also struggled in the Mexican heat, finishing FP2 in a lowly P9. “We struggled with the pace in both sessions and like nearly everyone else we also struggled with tyre life,” Bottas admitted. “Both of the compounds started to grain quickly and it feels like we’re lacking overall grip, so the car is sliding around a lot which is then wearing the tyres. Lewis is surely just being a drama queen here. It's going to be a 3way for the win and pole. 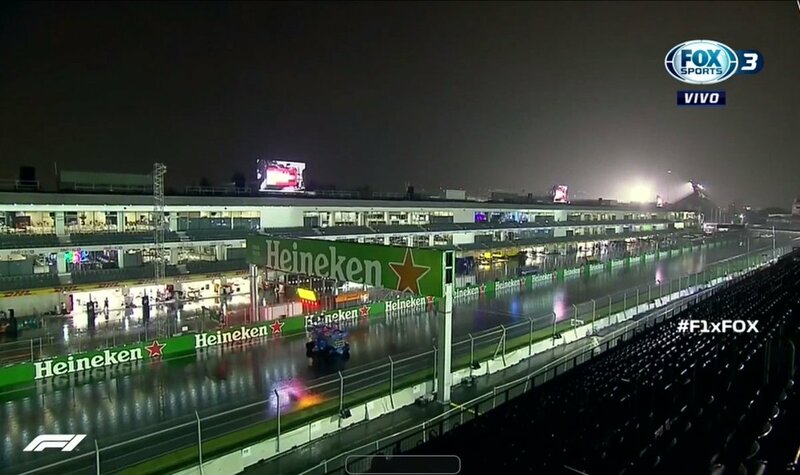 RBR just 1.2s ahead of Renault, who are ahead of Ferrari and Mercs. There is no way Renault is faster. Ferrari and Mercs will be right there in the mix with RBR. I have a feeling Lewis will win this race, doubt he will settle for top 6 or something like that. We have seen several times this season when he seems to be the underdog, he pulls off a win. Also even if RBR are quick, we know what their reliability is like. Yes, RBR might be favorites but Ferrari and Merc will close the gap today. Right now, as it stands, anything that can shake up the usual order is what we can hope for. We have nothing to lose. It's better to have this scenario right now than two teams in a different league like at Spa and Monza. If at least six cars have a fighting chance and the midfield isn't that far off then that increases the chances of incidents. Sure, we might lose out but maybe for once we will have luck on our side. Only the VSC in Australia went our way. 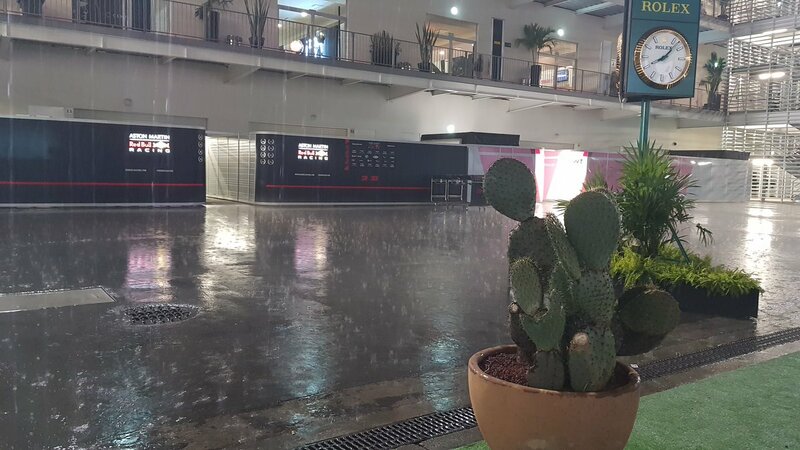 Also, if Merc manages not to have engine related issues here they might come in Brazil and Abu Dhabi later instead. But I suspect if the WCC is still alive in Abu Dhabi Merc will change both engines for that race and be sure to finish in the points without last minute issues. What's with the tire degradation? Hypersofts are useless so far, like driving in the rain they said. What's the problem? Yeah could be. Or maybe because there are not many racing events held there as well?